It is common for altruistic billionaires to make their mark in brick, steel and glass on a university campus or to sponsor one of the more fashionable branches of research, but Michael Moritz will leave a legacy in flesh and blood. The venture capitalist, born in Wales and living in California, announced the biggest philanthropic gift for undergraduate financial support in European history on Wednesday. A £75m gift from the multimillionaire investor and his wife, the novelist Harriet Heyman, will fund £11,000 scholarships for the poorest 10% of Oxford students. Moritz, who attended state school in Cardiff and graduated from Christ Church, Oxford with a degree in history, said he was moved to help others by his father’s escape from nazism. Moritz, who has invested in a string of internet successes including Google, PayPal and YouTube, said he owed his existence to “the generosity of strangers”. The Moritz-Heyman scholarships will be available to students whose family income is less than £16,000, who are selected for Oxford. The first 100 will be awarded this autumn. Moritz-Heyman scholars will receive financial support to cover living costs, while the university will waive most of the £9,000 tuition fee. They will have to find £3,500 for tuition, which can be borrowed as a government-backed loan. In addition, they will receive financial support during the holidays and will participate in a tailor-made internship programme to help them on to the career ladder. In the first wave, priority will be given to students of science subjects and those who are disadvantaged, such as coming from a school that performs below the national average at A-level or being in care. 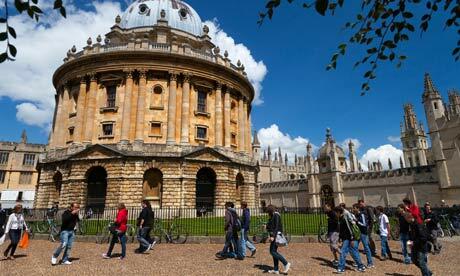 The latest figures, for 2011 entry, show 42.3% of Oxford’s UK undergraduate intake were from private schools. Less than a quarter of the intake were from comprehensives. Nationally, a third of all those achieving three A grades at A-level are privately educated. The scholarship gift will be made in three tranches of £25m, which will be matched by £25m from the university’s endowment. Oxford aims to raise a further £50m from donations. The next slice of Moritz-Heyman funding will be given when £100m has been raised for student support. At present just under 1,000 Oxford undergraduates – about one in 10 – are in the lowest family income bracket. Within three years, it is expected more than half of these students will receive a Moritz-Heyman scholarship, and Oxford envisages this scheme or an equivalent scholarship will be extended to all the poorest students. The scholars will be asked to return to their schools and encourage pupils to apply to Oxford. Oxford’s vice-chancellor, Professor Andrew Hamilton, said: “Oxford is already offering the most generous undergraduate support package in the country. But this remarkable and hugely generous gift and initiative from Michael and Harriet allows us to go an important stage further towards our goal of ensuring that all barriers – real or perceived – are removed from students’ choices. Moritz described the initiative as a “fresh approach” to student funding in Britain which was “fuelled by philanthropy, catering to the dreams and aspirations of individuals determined to excel, while also safeguarding the academic excellence on which Oxford’s global reputation stands”. David Cameron welcomed the gift, saying it meant students from disadvantaged backgrounds would get help to study at a world-leading university. Moritz stepped back from the day-to-day running of his firm Sequoia Capital in May after announcing he had a manageable but incurable disease. He remains chairman. Before joining Sequoia, Moritz was San Francisco bureau chief for Time magazine. In 2008, he and his wife donated more than £25m to Christ Church, the biggest single gift in the college’s recent history. Oxford said the new pledge was believed to be the biggest gift for undergraduate support in European history. It is believed to be one of top five philanthropic gifts ever made in the UK for any single cause. The Gates Cambridge scholarships were established in 2000 with a $210m donation from the Bill and Melinda Gates Foundation. This was the biggest single donation Cambridge has received. The scholarships enable applicants from outside the UK to pursue a full-time postgraduate degree in any subject at Cambridge. In 2008, David M Rockefeller gave $100m to Harvard, his alma mater, to support international study for undergraduates and expand arts education. Harvard’s biggest ever gift was $125m from the Swiss philanthropist Hansjörg Wyss to fund a bioengineering institute. Harvard has the largest endowment fund of any university in the world, with assets of around $31bn, according to Forbes. In 2001, the Hewlett Foundation gave $400m to help build Stanford’s endowment for the humanities and sciences and for undergraduate education. William Hewlett, who set up the foundation, qualified as an electrical engineer at Stanford before founding the Hewlett-Packard company, better known as HP, in 1939. The government has rejected claims that the crackdown on immigration risks deterring legitimate foreign students and losing the British economy billions of pounds a year. A letter to the prime minister, David Cameron, signed by 68 university chancellors, governors and presidents, urges the government to take foreign students out of net immigration counts amid fears that toughening up the rules on student visas may drive applicants towards institutions in other countries. They urge ministers to class foreign students as temporary rather than permanent migrants. Signatories to the letter include the former Liberal Democrat leader Menzies Campbell, who is chancellor of St Andrews University, as well as the broadcaster Lord Bragg, chancellor of the University of Leeds. They also include former Conservative minister Virginia Bottomley, chancellor of the University of Hull, and Patrick Stewart, chancellor of the University of Huddersfield. The letter – circulated by Universities UK (UUK) –says Britain attracts around one in 10 foreign undergraduates and postgraduates who study outside their home country, according to the Daily Telegraph. This generates around £8bn a year for the UK in tuition fees and other investment, it is claimed, with the total expected to more than double by 2025. But UUK told the Telegraph that many risked being pushed towards other countries such as the US, Australia, Canada and Germany. The immigration minister, Damian Green, said the Office for National Statistics was responsible for producing net migration figures, which were based on an internationally agreed definition of a migrant – someone entering the country for more than a year. Green insisted the policy did not stop genuine students coming to the UK but said the government was “determined to prevent the abuse of student visas as part of our plans to get net migration down to the tens of thousands”. “Public confidence in statistics will not be enhanced by revising the way the net migration numbers are presented by removing students,” he said. Home Office research conducted in 2010 showed 20% of students who came in 2004 remained in the UK five years later. Green said: “When we announced our full raft of changes to the student visa route, Universities UK said that the proposals ‘will allow British universities to remain at the forefront of international student recruitment’. Home Office ministers have introduced a wide range of curbs on the 400,000 overseas students who come to Britain each year to study as part of their drive to reduce annual net migration from its current level of 240,000 a year to below 100,000 by the time of the 2015 general election. The changes to the student visa system place a limit on the number of years non-European Union students can spend studying and restrict the number of hours of paid work they can do during and after their degrees. In addition, they are no longer allowed to bring their spouses or children with them unless they are enrolled on a postgraduate course that lasts more than a year. They claim some universities have already seen the number of applications from India drop by a third this year. 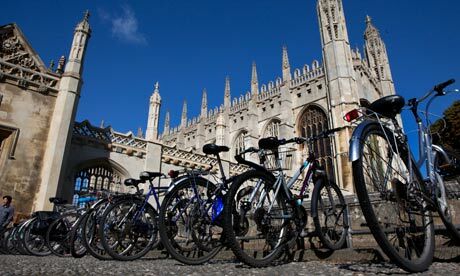 Nicola Dandridge, the UUK chief executive, told the Telegraph the “cumulative effect of all these changes is to present a picture of the UK as not welcoming international students”. “As competitor countries start to introduce visa changes to attract more international students and academics, we have real concerns about the situation in the long term,” she said. “Although the UK continues to have one of the strongest higher education systems in the world, in recent years, we have already started losing market share in the face of growing competition globally. A report by the Institute of Public Policy Research publishedearlier this month said the refusal to exclude international students from the government’s drive to reduce net migration to the tens of thousands was damaging British education and putting at risk £4bn to £6bn a year in benefits to the UK economy. Higher undergraduate tuition fees may trigger a collapse in numbers of mature students in England, a study warns. The report says the drop in applications for full-time places from mature students is almost double that from younger people. The report for the National Union of Students and the million+ university group calls on the government to do more for mature students. The government says financial worries should not deter anyone from study. The report draws on figures from the admissions body UCAS which show that applications from people aged 21 or over for full-time degree courses starting in 2012-13 have fallen by 11.4% since last year. This is compared with a drop of 6.6% from applicants aged 17 to 20. Applications for university places from UK students fell by an average of 9% for this autumn, the start of higher undergraduate fees of up to £9,000 a year. The report, Never too Late to Learn, says the drop in applications is evidence that higher undergraduate tuition fees may act as a deterrent to prospective mature students who tend to be debt averse. The authors say fewer mature students would be a concern as they currently represent a fifth of all full-time undergraduates. A third of undergraduates start university for the first time when they are over 21 and more than half (57%) of these study full time. A spokesman for the Department of Business Innovation and Skills said: “Mature students make a valuable contribution to higher education, bringing real-world experience, knowledge and skills into the classroom. “New students do not have to pay upfront. Instead they can make manageable monthly repayments as graduates once they are in well paid work. The report points out that mature students are less likely to have the usual set of A-level qualifications expected of school leavers. They are also more likely to study part-time and locally, to be from ethnic minorities and to have disabilities. The study calls on the government to take into account the more complex financial circumstances of many prospective mature students when publicising the benefits of a degree. It says the impact of the changes in fees and student support schemes on mature students should be carefully monitored. In particular, it mentions that longer repayment periods for loans could be a particular problem for mature graduates if they are still having to pay them off as they near retirement. Liam Burns, president of the National Union of Students said:“Mature students report financial hardship as one of the key challenges they face. Professor Patrick McGhee, chairman of million+ said: “This report is a timely reminder that social mobility is not just about young people …. contrary to popular perception university isn’t just for 18 year olds with A-levels. Universities and colleges are spending millions of pounds to navigate the government’s “Kafkaesque” new student visa rules, a committee of MPs has been told. An institution such as the London School of Economics spends£250,000 a year trying to understand regulations governing the entry of non-European Union students, the public accounts committee heard. Medium-sized colleges have had to recruit more than a dozen members of staff each to ensure they are correctly complying with the rules, which were introduced in 2009 and significantly changed by the coalition last year in an effort to crack down on bogus colleges. MPs are investigating the issue of student visas after a report published in March by the National Audit Office found serious errors in the way the UK Borders Agency (UKBA) implemented the changes. Margaret Hodge, who chairs the committee, said the report was the most shocking account of poor management leading to abuse she had ever seen. The Guardian has found that scores of genuine students are being left stranded and penniless as bona fide private colleges close down, unable to keep their businesses going with ever more stringent regulations. Simeon Underwood, academic registrar at the LSE, told the MPs his institution was spending at least £250,000 year trying to comply with the rules. Five years ago it was spending £50,000 a year. 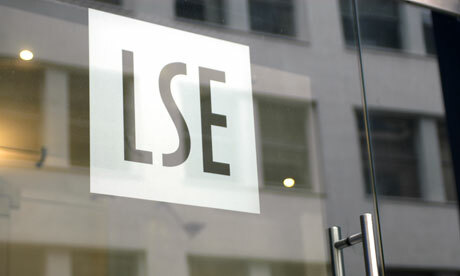 Non-EU students were a major part of the LSE’s student population and it could not afford to take risks when complying with the rules, he said. The consequences of not being able to recruit non-EU students would be enormous, Underwood said, and so the university felt pressured to spend money navigating the rules at a time when ministers wanted higher educationto spend less time on administration and more on the quality of the experience students received. Under the rules, institutions must have what is known as highly trusted sponsor status to recruit non-EU students. Underwood said because of the rules LSE had seen applications from south Asia drop by 20%, and Chilean students now thought UK higher education was“no longer open for business”. He described the system as Kafkaesque. The MPs also heard from Jeremy Oppenheim, temporary migration lead for the UKBA, who said the previous system of student visas had been “profoundly unregulated”. “We didn’t know where students were once they arrived,” he said. 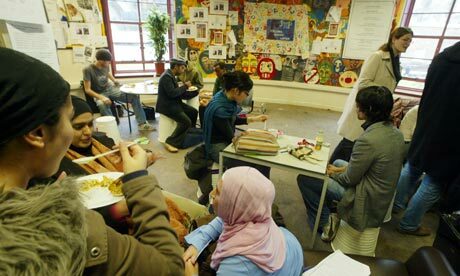 A report by the Institute of Public Policy Research has claimed that the government’s refusal to exclude international students from its drive to reduce net migration is damaging British education and putting at risk £4bn to £6bn a year in benefits to the economy. Universities face a fresh bidding war for students next year, after ministers unveiled plans aimed at allowing more bright youngsters to gain their first choice place. Under reforms revealed on Friday, institutions will be able to recruit as many teenagers as they want with at least an A and two B grades at A-level in 2013. It is likely to mean that universities are competing for around 120,000 students – one in three of the places available. This year, institutions were allowed to recruit as many students as they wanted with two As and a B, around 85,000 people in total. The expansion means it is expected that a further 35,000 youngsters will now join this pool of unrestricted students that institutions can recruit from. The move comes despite pleas from university leaders, who have warned ministers against moving too fast with the scheme. The universities minister, David Willetts, said: “A third of all students will now be free of number controls. This is what our university reforms are all about – putting choice and power in the hands of students. The plans are likely to benefit the country’s top universities, which will be able to expand the numbers of bright students they take. But other institutions are likely to miss out, if bright undergraduates choose to go to their more prestigious rivals. Ministers also announced that an extra 5,000 places would be handed to universities and colleges that kept their fees low next year. These places, known as “core and margin” places, are awarded to institutions that set fees at £7,500 or less. Some 20,000 core and margin places were awarded this year. The offer of these places was widely seen as an attempt by ministers to keep fees low after it began to emerge that many universities and colleges would charge at, or close to, the maximum £9,000 from this autumn. The announcement comes weeks after official figures showed that more than a quarter of universities could see at least a 10%drop in student numbers as a result of government reforms. Many of those set to be hardest hit by the government’s overhaul of student places are newer institutions that plan to charge more than £7,500 from this autumn. In total, around three in four universities are likely to have an overall drop in numbers, according to data published by the Higher EducationFunding Council for England. Statistics published by the council show that 34 institutions (26%) are estimated to have a 10% or greater drop in student numbers this year compared with last year, and in some cases it could be over 12%. The falls are likely to be caused in part by the government’s core and margin scheme, and the cap on AAB students being lifted this year. 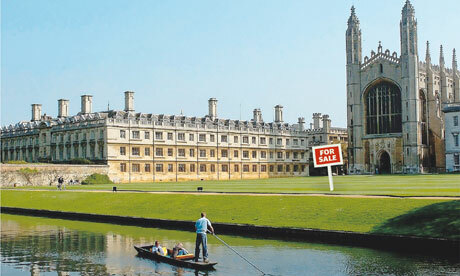 Could universities be sold off? After months of speculation, the College of Law was sold last week to a private equity firm with no experience of education. At first sight, it seems a mere footnote to the main fees and funding story dominating UK higher education. But the sale to Montagu Private Equity, for around £200m, is being seen as a possible model for growing involvement in higher education by for-profit companies. While legal and education policy experts think it unlikely that private companies will take over traditional universities entirely in the near future – Russian oligarchs won’t be getting their hands on Cambridge quite yet – they do foresee some university activities soon being financed with private cash. Glynne Stanfield, a partner at the law firm Eversheds, which helped to develop the College of Law sale, says it could be used by all UK universities, not just as the basis of an outright sale, which he thinks will be rare, but to allow investors to buy some kind of stake in an institution, with the valuation depending on the profitability of that institution and its brand. “We are seeing the liberalisation of the UK market and there will no doubt be many innovative structures developed over the next couple of years as the government seeks to reduce taxpayer funding in higher education,” he says. The College of Law deal divides the college’s training activities from its charitable role promoting legal education and fair access to the legal profession. It hands to a new company, set up with funds managed by Montagu, all the college’s education and training business, including its brand, contracts with law firms and degree-awarding powers. A separate Legal Education Foundation, established with the proceeds of the sale, will provide bursaries, scholarships and grants for future law students. These mechanisms appear to avoid many of the difficulties involved in transferring the valuable power to award degrees, which most institutions have earned over years – sometimes centuries – to new organisations, and offer for-profit companies a way into the booming higher education market. This could be especially valuable since the higher education white paper, which had included measures to make it easier for new providers to award degrees, has been indefinitely delayed. While the College of Law is a private institution, it is also a charity and – like many pre-92 universities – has a Royal Charter. If this charter has not stood in the way of a sale in the case of the college, it may not be an obstacle to the sale of ordinary universities – or parts of them. This worries the University and College Union, which is working on a report due out next month on private equity in higher education. It is pressing the government to introduce safeguards to protect universities’ assets and reputations in the light of growing interest from for-profit companies. The union wants measures in place to stop institutions handing over assets acquired through public investment to for-profit firms that can use them to generate dividends. The concern is that if it becomes easier for more organisations, with diverse business interests, to award degrees, the quality of a UK degree could suffer. The College of Law was the first private education provider to be granted the power to award degrees in 2006, and has just undertaken the formal review of those powers that takes place every six years. It will therefore not have to reapply for another six years. Four other private providers can now also award degrees, including BPP, a professional training provider owned by a private equity company, the Carlyle Group, and by Apollo Global, a subsidiary of the American for-profit higher education company Apollo Group. For now, he says, most mainstream universities have less need of private equity and are less attractive to investors than specialist institutions. While demand has dropped for legal training, it still offers clearer potential for profit than, say, philosophy. But he adds that even mainstream universities are thinking differently about how they operate, including separating off some of their activities, ones that could attract private money. Matthew Robb, head of the higher education practice at the consultancy group Parthenon in London, gives an example of where this could lead. A university, instead of using its successful business school to subsidise less profitable courses, could sell it off and invest the money. The case of the College of Law could bring such a scenario a step closer. Liam Burns, the president of the National Union of Students, is calling for university lecturers to be forced to acquire teaching qualifications to ensure that students paying tuition fees are getting the most out of their degrees. With three-year courses now costing up to £27,000 in fees, Burns says universities should recognise that they need to improve the standards of teaching in seminars and lectures, including those delivered by postgraduate students, who are increasingly used as a cheap alternative to professional academics by cash-starved institutions. Speaking on the eve of the annual NUS conference, Burns said it was “astonishing” that it was not already a legal obligation for those teaching in higher education to gain formal qualifications. A review of university funding by Lord Browne in 2010, which ushered in the current tuition fees regime, proposed that lecturers with “teaching responsibilities” be expected to gain qualifications. But the suggestion was never enforced, amid an outcry over institutional independence. A report by the NUS on the university experience says the teaching skill of lecturers is seen as the most important ingredient, beyond facilities or even contact time, for a positive learning experience. It also finds that one in five students on an engineering or technology course does not believe his or her degree prepares them adequately for future employment. The same is true for one in 10 studying medicine and nearly one in four studying computing and maths. Burns said: “I think it is undeniable, with the increase of perceived payment of fees, that people have much higher expectations. Not just students but parents, who will probably be much more active in criticising what they perceive to be the deal. The intervention follows comments from the head of the universities standards body, the Quality Assurance Agency, who said that there should be more contact between undergraduates and lecturers. 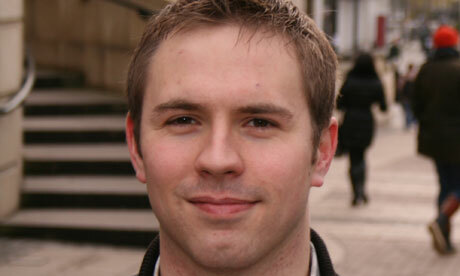 Anthony McClaran said interaction would be given more priority in a review of university standards in the autumn. Burns, who is attending his first NUS conference as national president this week, added that universities needed to take the quality of the teachers more seriously and recognise the specific skills the role demanded. He said: “When we think of teachers, it doesn’t mean they have to be at the cutting edge of research, but it does mean they should have some sort of training in the provision of teaching. It is not the sort of thing you pick up by osmosis. The emphasis on the standard of teaching in universities by the NUS will be seen as a change in focus by the union, following two years of campaigning over the government’s imposition of up to£9,000 a year in tuition fees. Burns said he believed that the NUS, while determined to press the government into a better system on fees, needed to address a range of other issues affecting young people beyond the fees regime, including the scrapping of the educational maintenance allowance in England, under which up to£30 a week was given to 16- to 19-year-olds from low-income households undertaking a certain amount of study per week. It remains in the other parts of the UK.